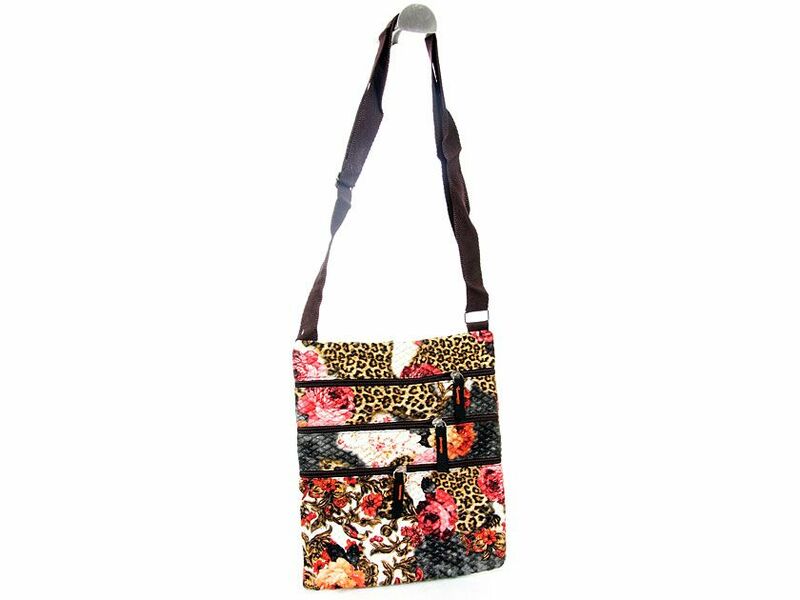 Wholesale Handbags #330fle-br Printed PVC Messenger Bag with adjustable shoulder strap. It comes with three zipper pockets. Printed PVC Messenger Bag with adjustable shoulder strap. It comes with three zipper pockets.